At 3PM our team members are actively involved in the wider construction and property industry; including representations on expert panels, sitting on industry committees and holding volunteer positions within varied organisations. These roles contribute our combined wealth of experience to the industry knowledge pool, as well as providing the benefit of experience gained from these forums back into our business for the development of the 3PM Team. 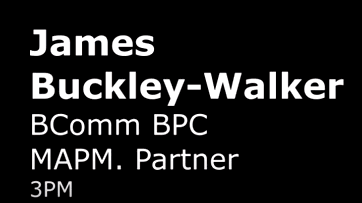 3PM Partner James Buckley-Walker is a Committee Member and Secretary of the APM’s Contracts & Procurement Special Interest Group (SIG), who represent a wide group of APM members from many industries and sectors coming together to share their knowledge and experience in the world of procurement and contracting. The SIG recently released their Guide to Contracts & Procurement, which is the APM’s bible for all you need to know to set up your project for success. The Guide covers all the key stages throughout the project life cycle from concept and feasibility stage; devising the project procurement strategy and contracting strategies; selection of providers, preparing, awarding & managing the contract; and through to contract closure, operations and support. At the launch event of the Guide last July, James presented the Project Procurement Strategy chapter, where he discusses the considerations of how to break a project down into different contract packages, determining the nature of the relationship sought with the Provider, which in turn forms the starting point for how you select the Provider, and then further outlines contracting strategies including allocation of risk & reward and obligations for each package. This chapter is the third video released from the launch event, of which more chapter presentations will be progressively released over the year. You can watch the video on the link below.